Detects motion within 30 feet. 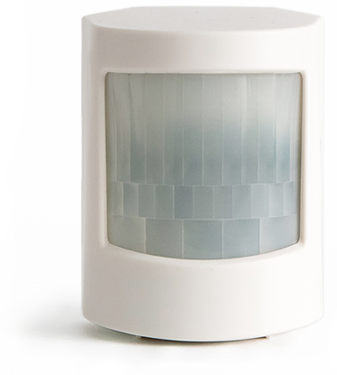 The sensor has a “field of vision” of 90 degrees, giving you a full range of coverage when placed in a corner. Your dogs and cats under 50 lbs won’t trigger the alarm. We’ve designed the sensor to be less sensitive to motion close to the ground.